Alternative Music Online 24 hours a day! 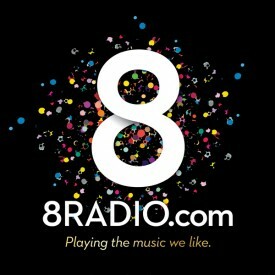 8Radio.com plays the very best new and classic Alternative Music from Dublin 24 hours a day. Download the brand new 8Radio.com app for your Smartphone or Tablet, search 8Radio.com on Tunein, enable the 8Radio skill on your Alexa device, ask Google to “Play 8Radio 94.3 from TuneIn”, add 8Radio to your Sonos via Radio.net or listen via the website player on the left of every page on this site. Couldn’t be easier and if you like good tunes, it’s worth the effort! This week we have new music from Foals, Johnny Marr, Aldous Harding, Talos, Molly Sterling and more! This weeks #8Recommends track is the new one from Broken Social Scene: Boyfriends”. This weekends Essential Album features The Cure and the 8 Song Shuffle is all about Space! Don’t compromise your ears, your listening time is valuable so tune in to 8Radio.com HERE, download the 8Radio.com app if you haven’t already and enjoy 8Radio.com wherever you are, whenever you like! Even if you miss your favourite show, you can catch it on our 8 On Demand Service HERE! There’s lots more too – read on! #8Recommends & Video of the week! Every week we bring you a track that we reckon you need to be hearing in our #8Recommends slot. This weeks choice is brand new musical goodness from J Mascis. Follow us on Twitter @8RadioIreland to find out more! Search 8Radio.com on Spotify to access our New Music Playlist every week. We also like to treat you to some video goodness from one of our new releases on 8Radio.com. Great tune and video for our musical selection this week. It’s from The Beths and it’s called “Happy Unhappy”. Check out our 8 On Demand service which features some of the Best of the week’s programming on 8Radio.com as well as some of our favourite interviews and it’s updated weekly! Just click HERE for details and to have a listen! Includes Sounds from a Green World with John Loftus, The Departure Lounge with Ann Marie Walsh, One Beat with Jackie Fox, Strange Brew with Gugai, The Essential Album, A Cuppa with Rachel Masterson and more. 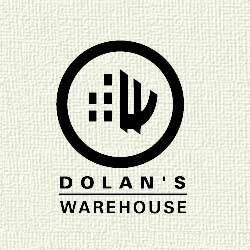 Don’t forget to like us on Facebook and follow us on Twitter and Instagram. Yes, we are that needy but we promise to play you great music in return. Click on the Flash Player on the left side of this page if you’re a PC user, click LISTEN NOW for more listening options or search for 8Radio.com on TuneIn. You can get our Android App from the Google Play store now and our iPhone app is available from the iTunes App Store. You can also enable our Alexa skill on your Smart Speaker and then just ask Alexa to “Play 8Radio”.